NASA astrobiologist Dr. Chris McKay has searched the earth's most extreme environments on his quest to understand what factors are necessary to sustain life. 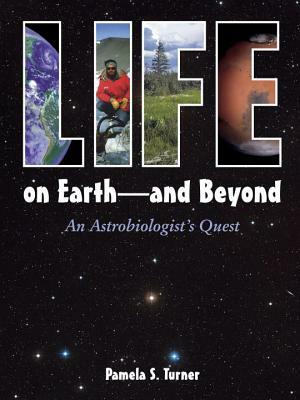 Pamela S. Turner offers readers an inside look at Dr. McKay's research, explaining his findings and his hopes for future exploration both on Earth and beyond. Behind-the-scenes photos capture Dr. McKay, his expeditions, and the amazing microbes that survive against all odds. Pamela S. Turner is the author of HACHIKO: THE TRUE STORY OF A LOYAL DOG (Houghton Mifflin), and GORILLA DOCTORS: SAVING ENDANGERED GREAT APES (Houghton Mifflin), an ALA Notable book. She lives in Oakland, California.